Fire is warmth, freedom, and hope. 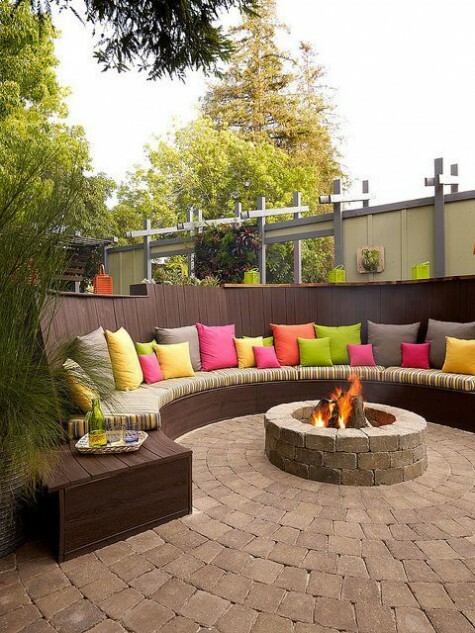 What could be more inviting than a home with a fire pit? 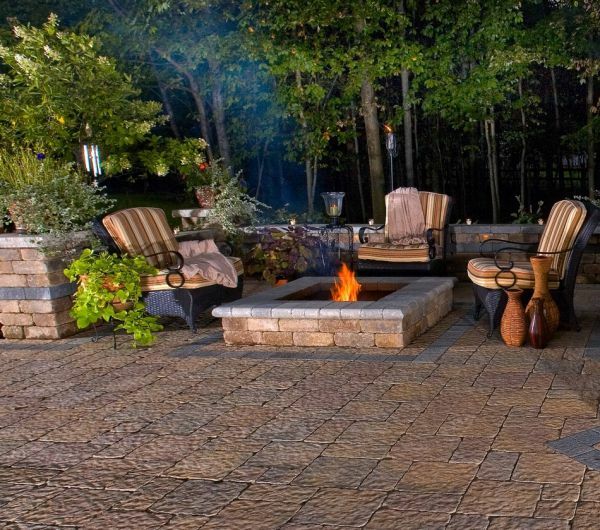 Patios and backyards are the most fitting spots when you are looking to install one. It can become a piece of art that brings people in your home closer together. But what is it about the beautiful flames of the fire? 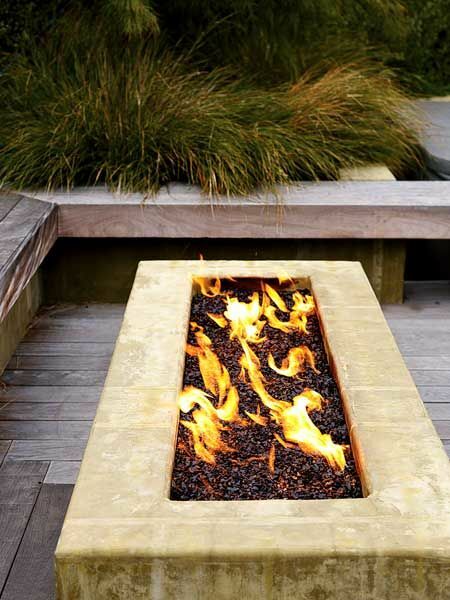 Fire pits can bring an irreplaceable decorative touch. Fire itself has been an essential element of people’s lives ever since the beginning of humanity. It’s time to warm up your hearts, readers. This goes way beyond candles at home, it is about a true experience of one of the most powerful elements. Stay with me, my dear, while I bring understanding to the awesomeness of the aesthetic light of the fire! 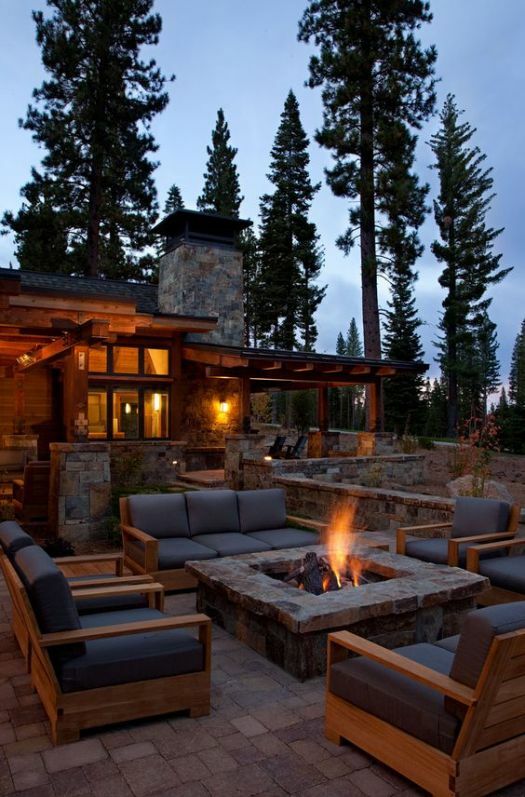 A fire pit, surrounded by massive stones, brings a truly rustic feeling to a home. The garden of a casa becomes a place for stillness. The flames of the fire would be amazing to watch, while you sit on the sofa. When you want to give yourself into some peace and quiet, you will have the best venue in your own house. 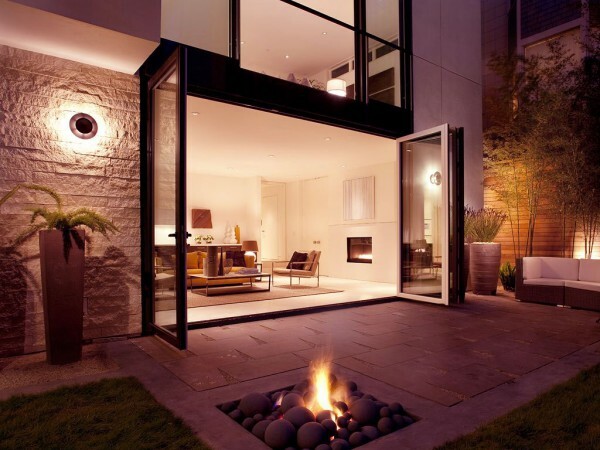 Inviting guests over for a dinner outside would feel considerably better with this view. Cozy chairs, warm blankets and moments to bond. While you tell each other stories and laugh over the mishaps in life, you will feel everything is alright when you have the fire’s warmth. What makes number three exceptionally inviting is the sunny colors used for the pillows, lined on top of the crescent-shaped sofa. This can be a little island of peace. 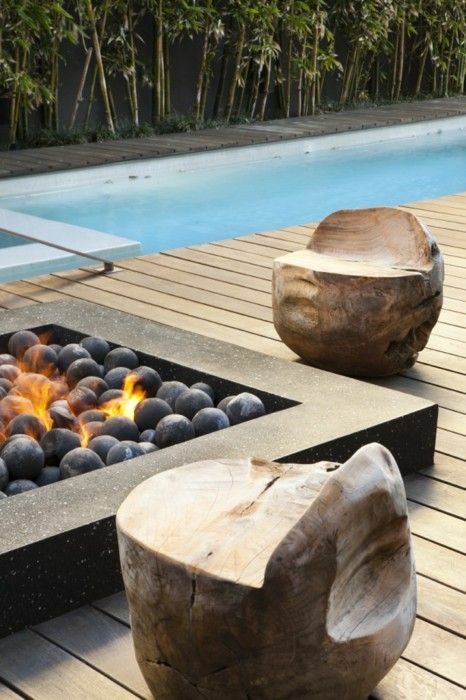 Although the fire pit is relatively small, the shapes are so inviting that the whole decoration is completely in tune. Wooden pits are also typical. They are the classics, as a matter of fact, that represent maturity in the evolution of home decoration. A whole garden that is made out of wood is the place to sit, to feel some adoration and contemplate. This is a universal choice, you simply cannot go wrong here. There is a certain spark, a passionate feeling when a beautiful pot of fire and stones stands before your eyes. You can easily feel like a goddess, blessed by the power of the fire. When that happens to be right outside in your yard, it is just divine. Stand here for a while, observe the flames and find the fire within yourself. 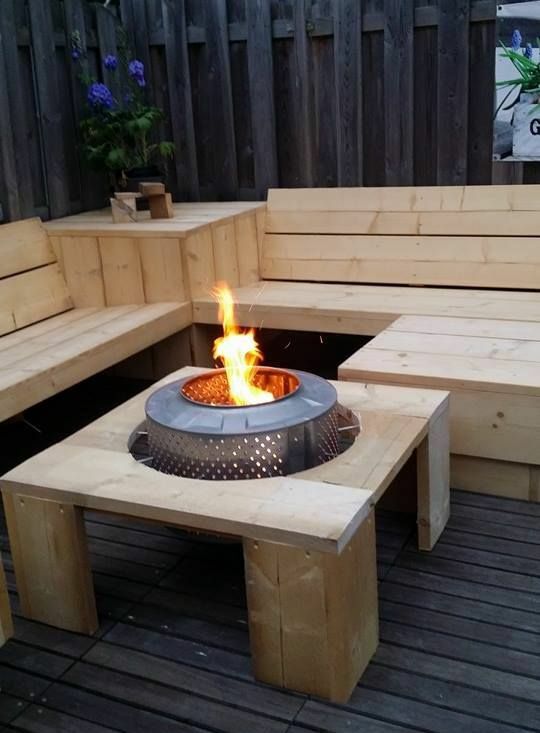 Barbecues and fire pits can go together indeed. Woods, green grass, and delicious meals can make perfect memories when they are in a combo. It is time to take those wine glasses outside, bring the appetizers and realize you are blessed. 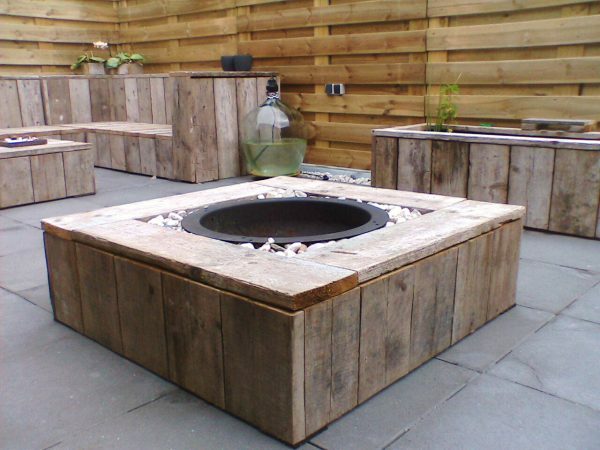 Dance, laugh and have the loveliest lunches and dinners around a fire pit installed on pallets. It is good to know we do not always have to go big. 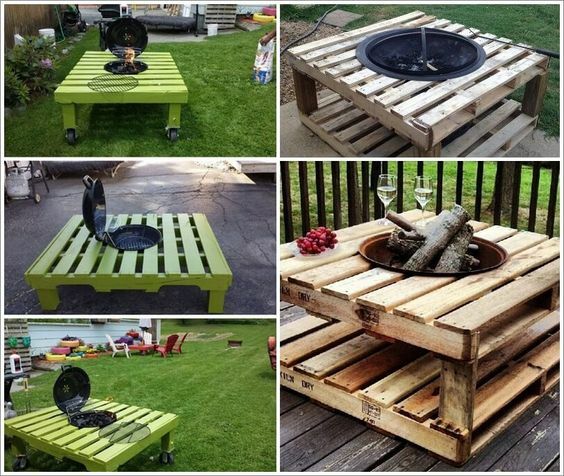 That is also true when it comes to fire pits. A small one is just as cozy and inviting, compared to the ones I showed above. Make your dream come true, I say. Feeling right at home is what is truly important, you can always pick what fits your vision the best way. This great, bold choice will reconstruct our dreams. 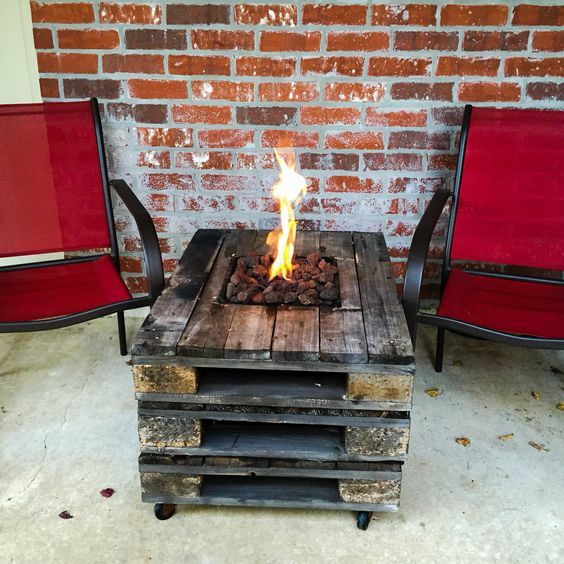 The fire pit is also made inside a base of pallets, but the red bricks and the armchairs are flaming, too. This is passion, heat, and a celebration. There is the intensity, that represents the red so well, that makes us be brave or becomes a warning sign to those that are more cautious. Join me around the circle in a modern day home, that is luxurious and spacious. The blue is taming down the atmosphere so well, that the flames become the center of attraction. 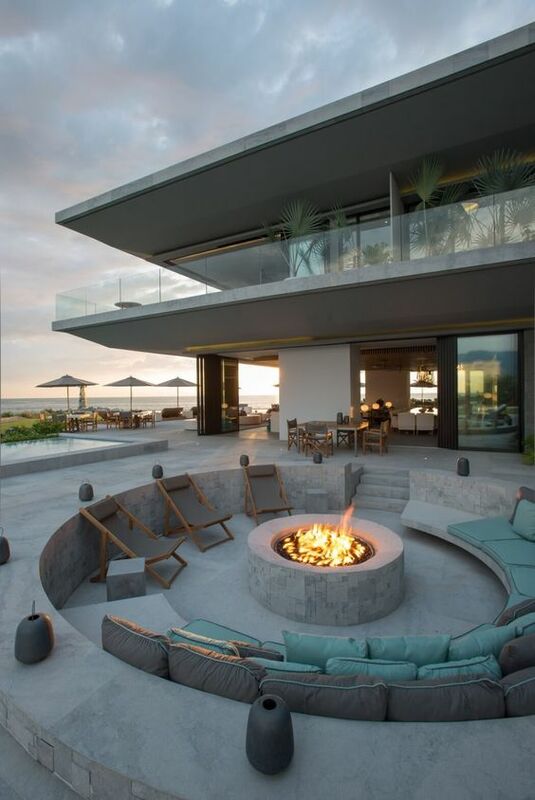 I am in personal favor of this home, the ocean view and the light coming from the sunset and the fire pit. Reserved! Take a deep breath. The green grass revitalizes the mind and body. This is a life-affirming color, where the fire adds to the grounding feeling, it makes it alive, vibrant. 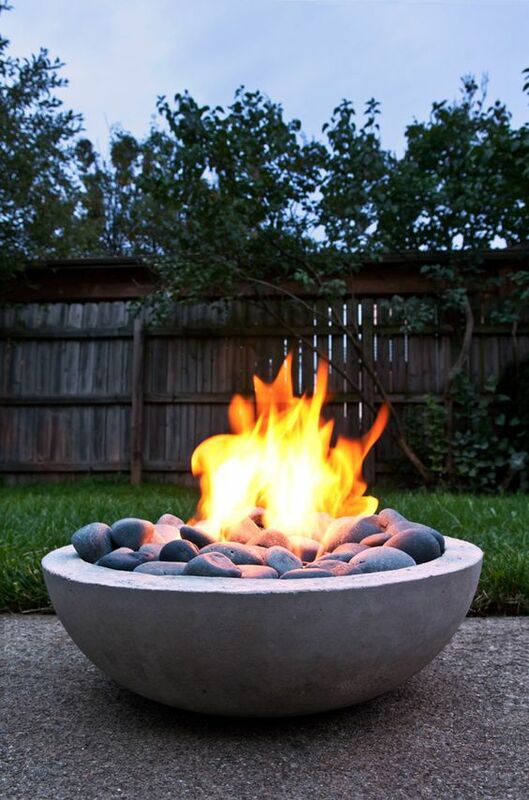 Green gardens call for a fire pit! Make no mistake, this view wouldn’t be the same without it. If you have a huge garden, full of flowers, you now have a new project. Yet another smaller scale decoration that is not hard to achieve. You can fill any backyard with love, presence. 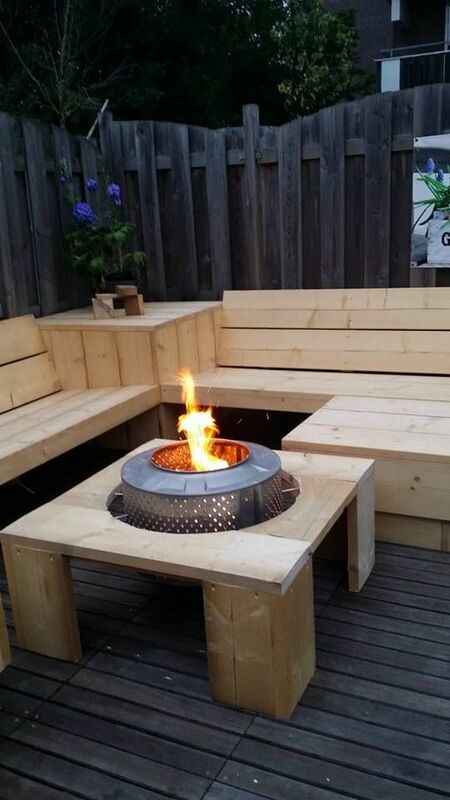 The fire pit merely represents it, because fire is indeed a flame. You can go directly to this small monument, there is no wrong way in decoration. What is important is what is important to you. A truly uplifting experience, a joyous and wonderful place. I have to confess, this is my personal favorite so far, because it is unexpected, it is not standard or boring. I see artistry when I see a fire pit that is actually set on the floor outside, the stones are in different sizes. The play of the light inside this home feels like a reward. There can only be good circumstances to choose the best decoration for our own place. When the atmosphere outside is already surrounded by trees, however, we are already a step ahead into making a home naturally decorated. The atmosphere of a home surrounded by nature is far greater, far more enticing than any other decoration you may find. 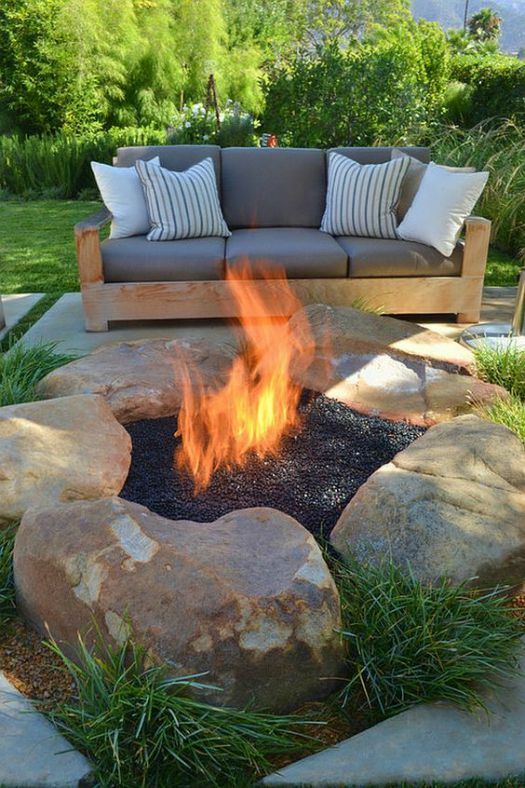 Take a moment to marvel at this combination between wooden chairs, the stones and the fire in the pit. 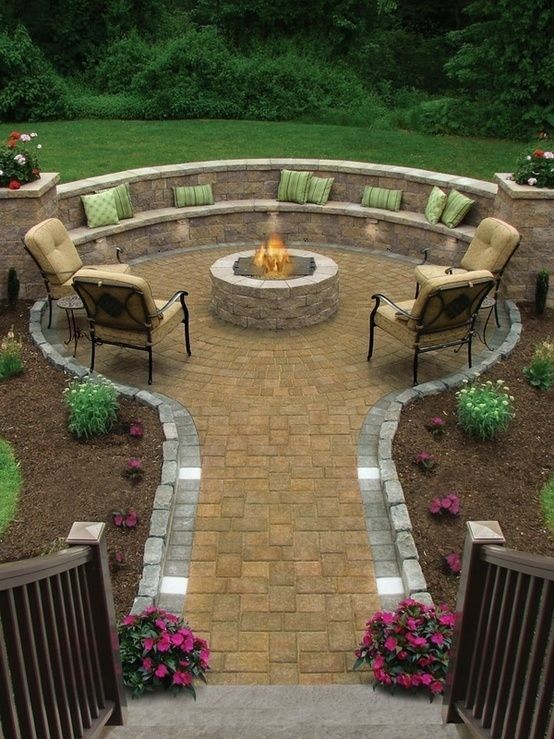 Could you imagine a better place to have a good conversation? This is a perfect style of decoration where you can feel at ease and completely let go of everything that happened or didn’t happen according to plan during the day. Peace. 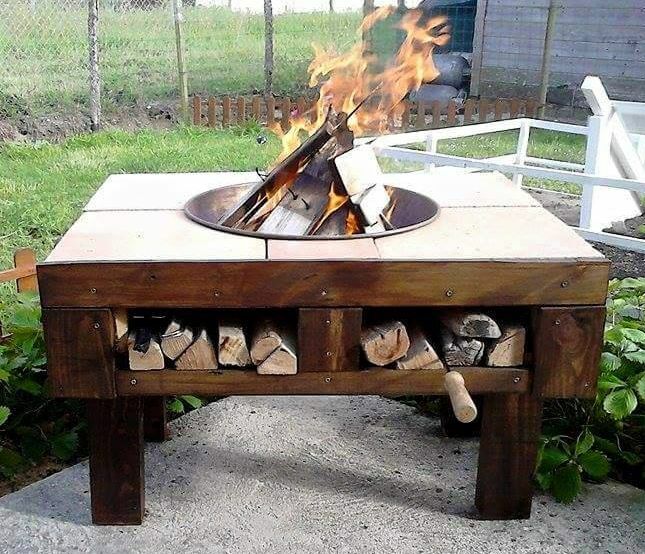 Last, but not least, let’s cherish the generousity of fire while we take a look into a very practical outdoor solution. For some reason, all paradoxes tend to vanish and all so called problems tend to be resolved around the fire. When you are truly at peace, you will find that this is an everlasting truth. I hope you have enjoyed our session around the fire. 15 Rustic Accents To Bring Warmth To Your Home!